Do you find it easier to spend money than make money? Do you wonder where all of your hard-earned cash goes? Do you wish you could be a better steward of your money? Then downloading the DollarBirdapp might be a solution for you and your money. What Exactly is the DollarBird App? The DollarBird app for both iPhones and Android helps you color-code your monthly expenses by putting them on a calendar instead of a spreadsheet. DollarBird can do this without access to your bank accounts. It is a free app as long as you keep it to just one calendar. However, if you’d like to track your credit cards or investments on separate calendars then the Pro version is $4.99 a month or $49.99 annually. What Do You Need to Operate DollarBird? for your iOS to be 6.0 or later. for your iPhone to be iPhone5. for iTunes to be open in order to download. for your Android to be 4.0 or up. for Google Play to be open to download. How Does the DollarBird App Work? 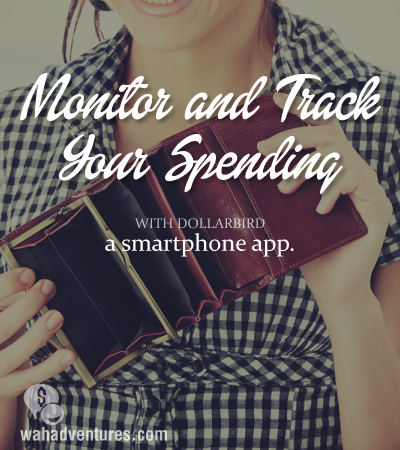 DollarBird will help you add your recurring expenses as well as other expenses to your cell phone’s calendar. It will color-code the expenses and calculate the balance automatically and give you daily and monthly totals. It will show you your totals in several different categories and then help you understand how your income and expenses have evolved over time. Categories of expenses can be household, travel, utilities, rent/mortgage, groceries, loans, medical, and many others. Through DollarBird’s dashboard, you can also learn what your biggest expenses are as well as learn your income to expense ratio. You’ll see them right there in graph format. You can sync all of your devices with DollarBird and have DollarBird back it up for you. What Are Others Saying About DollarBird? The reviews seem to be split right down the middle. There are those that absolutely love it and those that think the paid version is too expensive and “too buggy”. You can read the reviews here. There is also a blog with interaction. What is Unique About DollarBird? While there are other financial apps out there, such as MoneyWiz, this app helps the user decide how to improve their spending habits and then how to follow through with it. This is done by viewing your dashboard and seeing your percentages. You can also see if you are over budget in any one of your categories. You can review month-to-month improvements made via your dashboard. You can also use this information and plan for your future. What Do I Think of the DollarBird App? I think it is a great idea. I’ve downloaded it and have been playing around with it. It’s especially helpful if you have income coming in from several other sources (work-at-home jobs and clients). It’s definitely NOT a complicated app to use. I will be glad when the developers come out with the reminder notices feature for the Android. Right now, it is only available for the iPhone. Go to the website and select either the download button for the iPhone or the download button for the Android. This sounds great! I will definitely be downloading this app! @Anonymous – it really is a great little tool! I am really starting to use it more to get the reports. I’m not a “numbers person” so this really helps me see where my money goes.